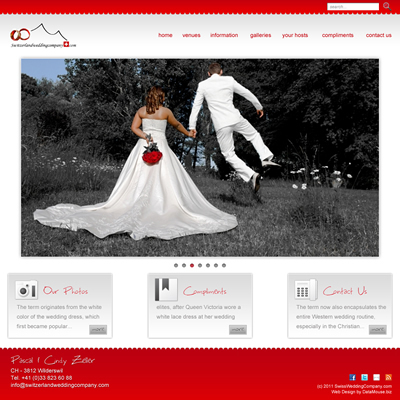 Pascal and Cindy are the owners of SwissWeddingCompany.com – a Switzerland-based venture offering fantastic wedding experiences for all budgets. 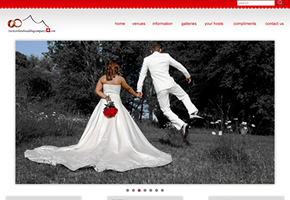 Their website needed an update which would allow them to maintain their own content – particularly for frequent photography updates – and act as a showcase of previous weddings that they have helped to manage. This design has an emphasis on photography; every image is housed in a custom CSS3 container which draws the user’s attention and really showcases the imagery. Additionally, the home page uses a jQuery rotating image browser which is the full width of a standard brower. This ensures that maximum screen space is given over to showing the great experiences that their customers have enjoyed. The inner pages also have a focus on images. 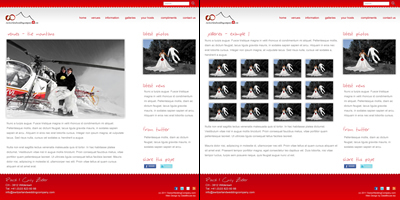 A customised gallery is included, together with a blog/news area that allows for multiple images to be uploaded together through a simple administration interface. The end result is something pretty special.